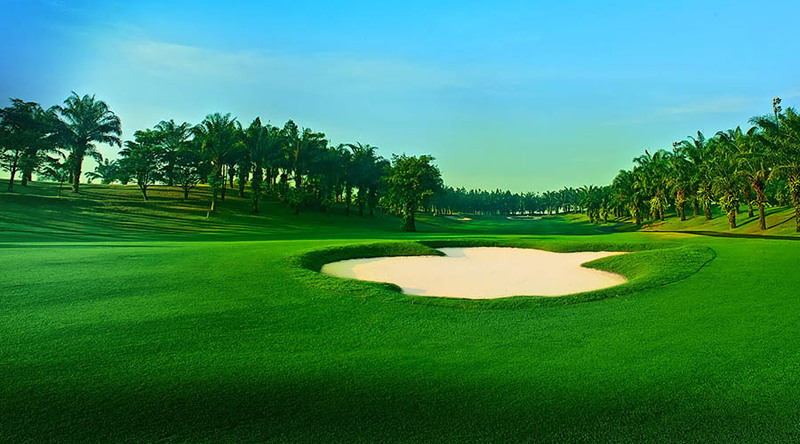 This 5-day golf tour explores Saigon City “The Pearl of the Far East”, the trip to discover the Mekong Delta and experience some of its best golf courses in and around this city. Our tour guide will meet and greet you upon arrival at Tan Son Nhat International Airport. Transfer to the city for hotel check-in. We will have short sightseeing tours to see some landmarks of Saigon City (If you arrive in the morning or early afternoon). The rest of evening you will be free at leisure by your own. Overnight in Hanoi City. Today you will play a round at the Championship Song Be Golf Club, which is widely regarded as one of the most challenging and stimulating in the country. The rest of time you will be at leisure. Overnight at hotel in Saigon. Take the day off to experience the Mekong Delta. Leave your hotel at 7.30 for a 3-hour drive to Cai Be with stop en route at Trung Luong Bonsai garden for a tea break. Upon arrival, board a motorized boat to visit the popcorn cake, rice paper making family before visiting the lively floating market of Cai Be. Then continue by boat towards Vinh Long province to see the diverse fish traps in order to learn a kind of lazy fishing. After cruising along small shady canals, we step ashore and take a chance to watch a typical and interesting music show of the Mekong cultural life. Lunch is at the home/ bonsai garden. Afternoon, take a walk for about half an hour to enjoy the rural peaceful atmosphere of the countryside life, on the way we can also stop en route to learn more about fruit trees. Drive back to Saigon. Overnight in Saigon City.